Love the camera trick. It really makes SL better IMO. Though I do keep the Y axis centered by personal taste. Really awesome blog you got here, I also love the posts about scale, proportions, and your windlight. This blog is a must read for all the Lindens out there. Thanks very much for posting this! I was going to use the HUD to do pretty much the same thing, but am always glad to be able to do things client-side without having to add an extra scripted attachment. Thank you so much I was going nuts! And my home was the biggest reason I needed to change the camera setting. I only needed to change the Z coordinate becuase my view was up in BFE! Thanks again! Well this is much better than HUD since you can change the POV while the UI is removed. Thank you so much for this Penny. 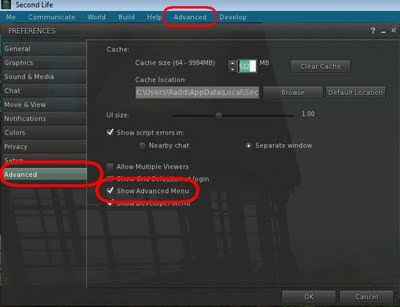 While Nirans is in the alpa phase I am having to use other viewers and the default view is ridiculous. This is a big help. Thank you very much for those tips. 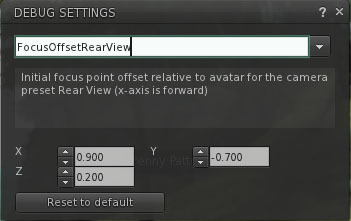 However, it should be noted that ctrl-0 does not *increase* your FOV, it is used for *decreasing* the value. 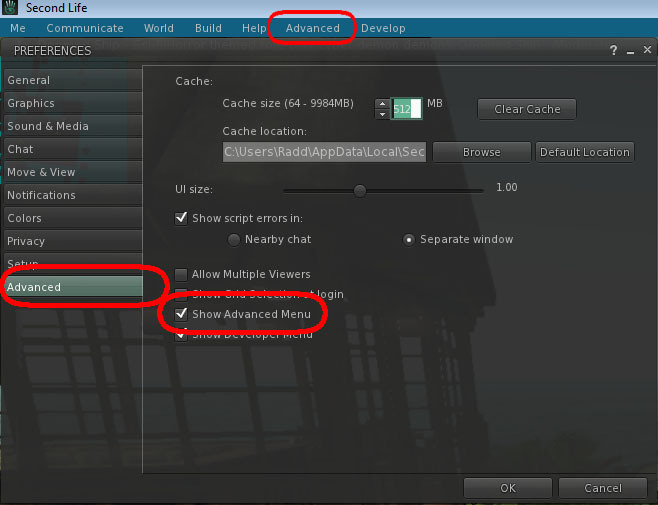 You can check for yourself: In the "Develop" menu, select "Consoles", then "FOV". Default is 60 whereas hitting ctrl-0 six times will lower that to 20.1 degrees. I prefer a slightly higher FOV than default, sitting around 70 to 80. You can do that using ctrl-8. 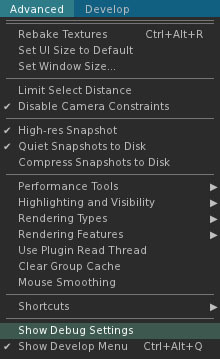 The sense of depth is vastly increased like that, but it also means there's more to render since your viewing angle is quite a bit higher. Hi Penny, Just a Quick TY!! 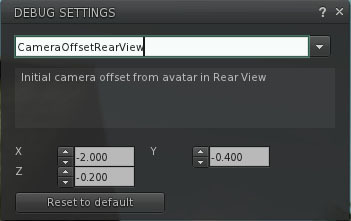 Made these the default settings in my viewer. In the last 24hrs I’ve had 5 users contact me saying they love the new view! Glad I found this post now, so Thanx! I'm going to blame dyslexia on my part. I'm glad this has helped! 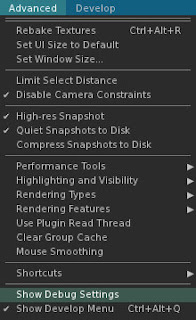 I've gotten nothing but positive feedback from these camera settings, which says something as people are more likely to leave negative comments than positive. I'm still trying to convince Firestorm to adopt these settings, at least as one of their included camera presets if not a default, but they're concerned people won't like them because they're so different than the Linden default. Settings advice very welcome. Thanks. Works wonderfully!! Perfect for exploring and the more realistic size builds I prefer. Thanks! This camera setting is really good as it not only helps to capture the photography in a systematic manner but, it is easy to use the camera by setting it for photography purpose. Graphics and text setting differ from each other.